WASHINGTON (Reuters) - Several U.S. Republican lawmakers expressed concern over privacy violations on Sunday after media reports that a political consultancy that worked on President Donald Trump's campaign gained inappropriate access to 50 million Facebook users' data. "So we'll learn more about this in the days to come. But yeah I'm disturbed by that," Rubio told NBC's "Meet the Press." "People have to look into it. Whether or not it broke the law, absolutely, the privacy of the American consumer, the American individual, should be protected," Paul said on CNN. Facebook disclosed the issue in a blog post on Friday, hours before media reports that conservative-leaning Cambridge Analytica, a data company known for its work on Trump's 2016 presidential campaign, was given access to the data and may not have deleted it. Facebook did not immediately reply when asked on Sunday for a response to the lawmakers' comments. However, in a new statement Sunday, the company said it was conducting a "comprehensive internal and external review" to determine if the user data in question still existed. Cambridge Analytica and the professor have denied violating Facebook's terms, according to media reports. 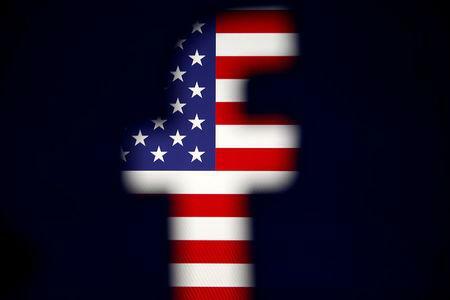 The scrutiny presented a new threat to Facebook's reputation, which was already under attack over Russians' use of Facebook tools to sway American voters before and after the 2016 U.S. elections. "This is a big deal, when you have that amount of data, and the privacy violations there are significant," he told CNN's "State of the Union" program. "So the question is who knew it and when did they know it, how long did this go on and what happens to that data now." "We need to find out what we can about the misappropriation of the privacy, the private information of tens of millions of Americans," he said Sunday on ABC's "This Week."